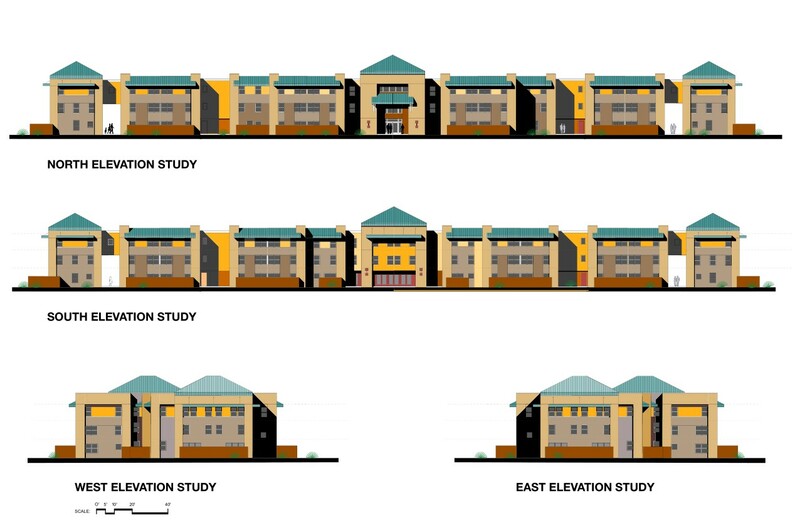 ST. GEORGE – A general plan amendment approved by the City Council last week is paving the way for a proposed affordable housing complex on the east side of St. George. Called the RiverWalk Village, the three-story, 55-unit complex will provide affordable housing to those who qualify. The property the complex is slated to be built upon is a 4.7 acre parcel just east of Millcreek High School and The Church of Jesus Christ of Latter-day Saints chapel on 2200 East off Riverside Drive. 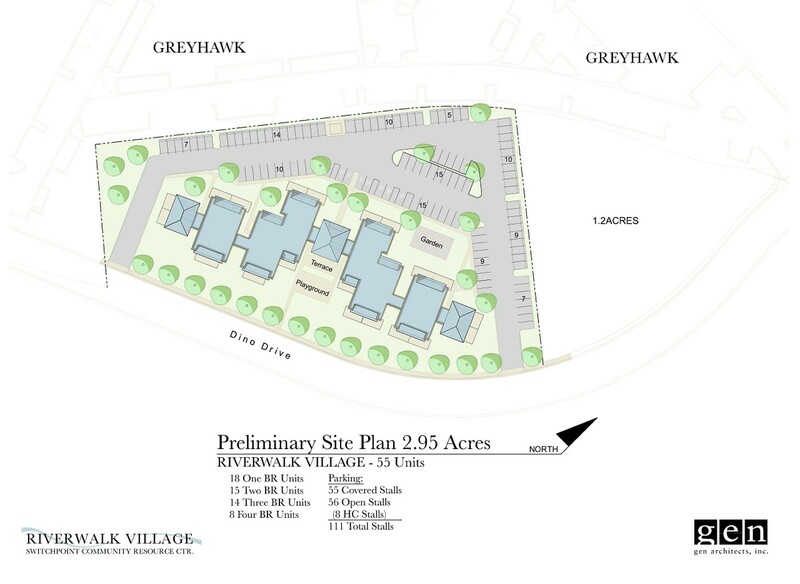 It will also sit behind a larger high-density development called Grayhawk. The project is being spearheaded by the Friends of Switchpoint, the nonprofit group that also runs the Switchpoint Community Resource Center. Opened two years ago, Switchpoint has garnered recognition and praise from state and federal-level officials for its work in helping the homeless and impoverished become more independent. Part of that independence involves helping clients move beyond temporary housing at Switchpoint and into more permanent, yet affordable housing. The RiverWalk Village will provide supportive services for those who are able to take advantage of the housing there once the complex is built and open, which officials hope to be in 2018. Apartment units at the RiverWalk Village will be a mix of one-, two-, three- and four-room apartments, said Troy Dutson, of the Friends of Switchpoint and senior property developer for Northwest Real Estate Capital. The company is partnered with the nonprofit to build the complex. Helping to find Switchpoint clients affordable housing hasn’t been easy, even for those who work full-time. They, along with others who may qualify for affordable housing or may simply be looking for an apartment to rent regardless of circumstance, may not be having much luck in the current market, according to a report from commercial real estate firm NAI Excel. Vacancy for multifamily housing in St. George currently stands at less than 0.1 percent, according to the NAI Excel report. Demand has outstripped supply and the average rent for an apartment has also gone up. In 2010, monthly rent for a two bedroom, two bath apartment was $690, which has risen to an average of $848 today. “This is a really needed project,” Councilman Jimmie Hughes said. Hughes, who also sits on the St. George Housing Authority, said the group has issued low-income housing vouchers that are typically filled as people are able to find housing. However, that hasn’t been the case lately. “People who are awarded these vouchers are unable to find properties that fit that low-income range because there is such a shortage,” Hughes said. Individuals who move from Switchpoint, as well as those who are able to qualify for low-income housing, will be able to take advantage of the RiverWalk Village once it is completed, said Carol Hollowell, Switchpoint CRC’s executive director. Work on the project is hoped to start in early 2017, Hollowell said. This hinges on a successful application for federal funding, which Hollowell said she is confident will be granted. The overall project is estimated to run around $10 million, Dutson said. Much of that cost could potentially be covered by the Low-Income Housing Tax Credits program. The program has funded nearly three million affordable housing unit since 1987. The program has given allocating agencies “the equivalent of nearly $8 billion in annual budget authority to issue tax credits for the acquisition, rehabilitation, or new construction of rental housing targeted to lower-income households,” according to its website. Sure, why not build next to a gully? It’s not like it will ever flood. Nobody here cares what you think. In big cities affordable housing is a synonym for ghetto. Maybe we should change the street name it’s built on to MLK Blvd. LOL 422. ..maybe somebody could put up a Cracker Barrel restaurant there ! So, people who make bad choices and then get help and do better get to live in a brand new complex? How nice for them. Meanwhile all the hard working people making good decisions get to live in the rundown houses and apartments. That sounds fair. I am trying to find a new apartment that is nice. I am on permanent disability and I can not find something brand new that isn’t for low income. or for student housing. How is this fair.? Relax. It will be a drug dealers paradise soon enough. Better build a cop station next door.